The growing demand of telemedicine is real and it’s a good thing. In fact, just last week the Centers for Medicare & Medicaid Services (CMS) proposed historic changes to modernize medicare and restore the doctor-patient relationship. Specifically, CMS proposed a new “Physician Fee Schedule (PFS) and a Quality Payment Program (QPP) to promote access to virtual care, saving Medicare beneficiaries time and money while improving their access to high-quality services no matter where they live. Such changes would establish Medicare payment for when beneficiaries connect with their doctor virtually using telecommunications (i.e. telemedicine)”. But, what this proposal doesn’t envision is the significant administrative burdens involved in acquiring multiple medical licenses to practice telemedicine that most physicians are unprepared for. Unlike a driver’s license, a medical license is only valid in the state that you are licensed in. And, to expand your telemedicine practice into multiple states will require you to obtain multiple licenses. Unfortunately, every state is different. Requirements are different, application questions are different, processing times are different, continuing education requirements are different and much more. Additionally, the more licenses you acquire, the more complex the application process becomes. And if you have any malpractice claims in your history – and many do – that only further complicates the process. And, if you failed to answer the application questions in a way that satisfies the licensing agency (and many do), that can impact your application processing time. And, if your medical school is slow in sending out transcripts, that can slow down the process even further. There are also states that are historically very difficult to deal with, and others that are not. There are states where it’s easy to obtain a license, and there are states that are very difficult. And if you are in a hurry and need to obtain a medical license rather quickly, there are some states that you’d want to avoid altogether, until you have more time. Now, you may be thinking – isn’t there a central licensing system through a federal state medical board? The short answer is resoundingly no. The Federation of State Medical Boards (FSMB) is a nonprofit organization that represents state medical boards’ interests – not yours. FSMB is not a centralized, federalized licensing system. In fact, only 24 states and territories have adopted their uniform application and FSMB does not provide a one-stop shop for managing your professional license and credential information – exacerbating the redundant documentation requirements for you. 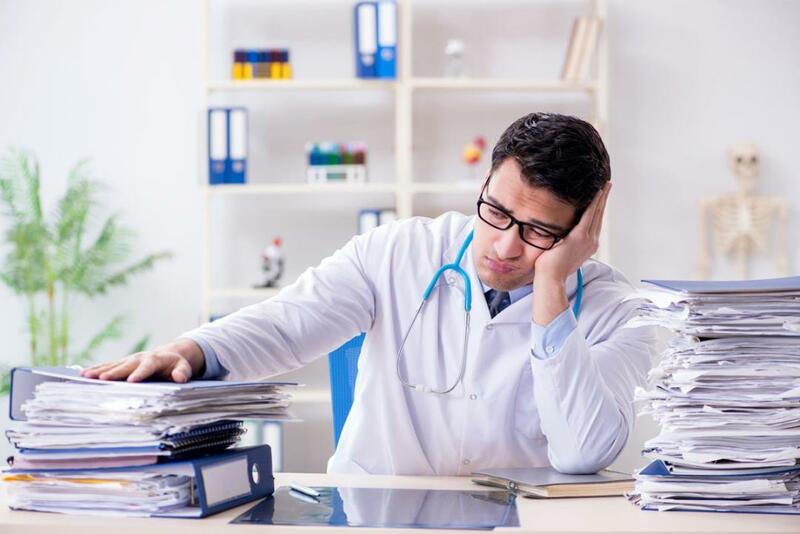 During this exciting time in health care, don’t let time, confusion and burdensome processes keep you away from expanding your practice and doing what your trained to do – practicing medicine not paperwork. Help isn’t on the way. Help is already here. Mark Vargas is a tech entrepreneur and president of Licentiam. His work as an entrepreneur and opinion writer have been featured in the Huffington Post, Fox News, the Chicago Sun-Times, Chicago Tribune and the Daily Herald.